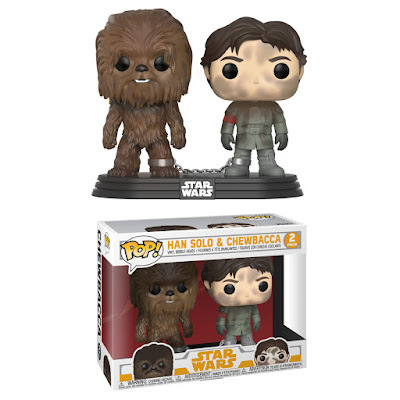 Fans are receiving their monthly Smuggler’s Bounty subscription boxes from Funko in the mail, so The Blot can finally unveil that this Solo: A Star Wars Story themed box includes this awesome Han Solo and Chewbacca Pop! Box Set! It’s a little bit of a spoiler from the movie as the two figures come handcuffed together. What do you think that means!?! Hope subscribers of Funko’s Smuggler’s Bounty are happy with their latest release.